School of the Art Institute of Chicago (SAIC) is a private institution that was founded in 1866. It has a total undergraduate enrollment of 2,843, and the setting is Urban. 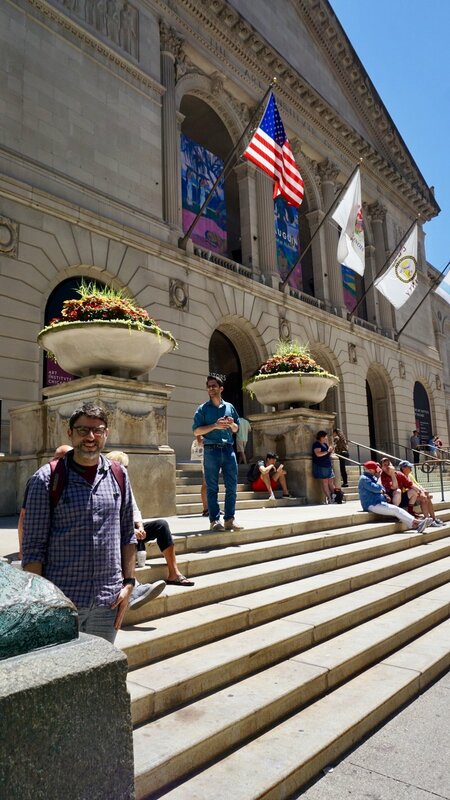 The student-faculty ratio at School of the Art Institute of Chicago is 11:1, and the school has 86 percent of its classes with fewer than 20 students. Most students who go here get a bachelors in fine arts (BFA) in programs such as architecture, art therapy, photography and graphic design. Most students live on dorms in the city and love how close they are so much culture and food. Students also believe that the career center is helpful in finding internships and jobs after college. One of SAIC's many buildings in The Loop area of downtown Chicago. The fantastic exhibits at Art Institute Museum and nearly Millennium Park inspire future creatives. Newer PostIt was great visiting Northwestern University yesterday. Older PostJoin Arjun as he travels through the United States!